...we need your help, and NONE of your money. 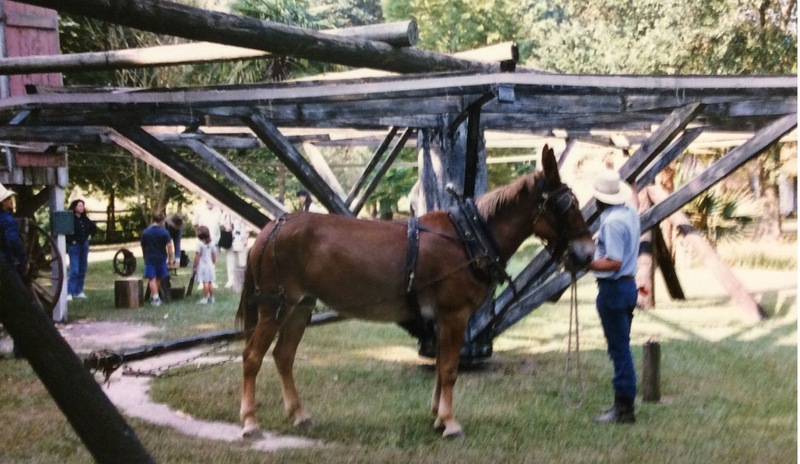 Rebuilding an old Grist Mill – a draft animal driven stone mill that grinds corn and other grains. There will be an exceptional amount of timer joinery work on this. Several buildings are in need of fresh white wash or paint. Several of the buildings are in need of basic carpentry repair. Everything from steps and handrails to cils, siding, joists and rafter timber work. A few of the building are also in need of wooden shingle replacement. We also have early Louisiana furnishings in need of TLC. We are even considering erecting a new timber framed French barn for demonstration. You will work under the direction of experienced preservation craftsmen such as myself and others as well as Preservation Architects and Traditional Cabinet Builders. If you have any interest in these pastimes please contact me. Regardless of your skill level, I assure you we can use the help and you will learn valuable preservation and timber framing skills. Why pay to attend classes when you have the opportunity to learn for free? You will also be helping one of America’s premier outdoor museums of Architecture, Art and Material Culture preserve history for future generations. On Feb 20th, 2016 we shall begin work replacing the roof of the Overseer’s House. One side was completed with tremendous volunteer help last year and I am hoping that we get the same support to complete the project. Please email me with your interest to volunteer. I have blocked out my schedule from Feb 20th through March 3rd to strictly for preservation work. Given enough assistance we can certainly have other projects running simultaneously. Louisiana State University – Rural Life Museum. *This message was created by Jean Becnel and not under the direction of Louisiana State University.